Helix, an Illumina spinout focused on personal genomics, said today it has acquired HumanCode, a developer of applications the buyer has incorporated into its online 'marketplace' of genetic tests based on next-generation sequencing (NGS) of DNA. Denver-based HumanCode markets two personal genomics apps. 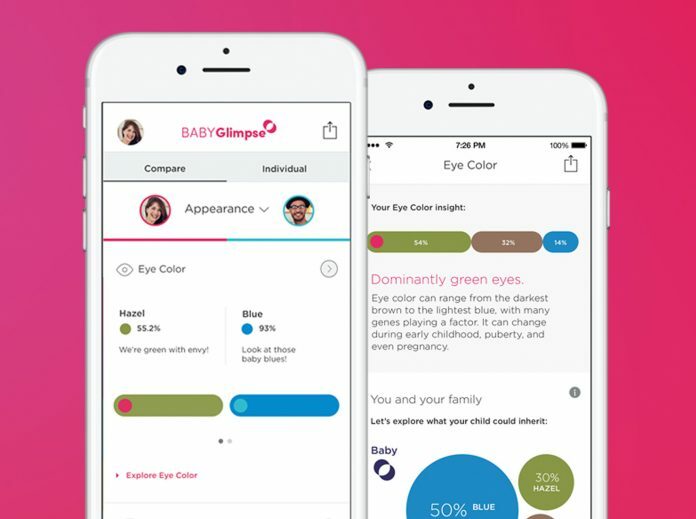 One is BabyGlimpse, which is designed to inform couples of more than 20 traits their children may inherit from them, involving ancestry, appearance, and wellness: “BABYGlimpse is a fun and informational experience, not a medical test,” HumanCode cautions. BabyGlimpse regularly sells for $259.98, but is being marketed on HumanCode’s website for $99.98. The other HumanCode app, DNAPassport and its companion DNA collection kit, allows users to explore more than 40 traits related to their personality, as well as their ancestry, appearance, and wellness. The app is marketed for $69.99. Helix’s HumanCode acquisition and expansion of operations and executive team come more than three months after the buyer achieved the first close of an expected $200 million Series B financing round. At the time, Helix said it would use the proceeds to fund an expansion of its market or “Helix Store,” which sells 35 products from 20 partner vendors that apply insights gleaned from NGS sequencing of DNA contributed by customers. The products come from partners across six categories: Ancestry, entertainment, family, fitness, health, and nutrition. Helix has said its number of products will grow to more than 50 this year. Helix said it would retain the entire HumanCode workforce, including co-founder and CEO Chris Glode, and two additional co-founders, Ryan Trunck and Jennifer Lescallett. Trunck is also VP of engineering, while Lescallett is also the company’s commercial development executive. Helix said they will oversee its efforts to enhance its end-to-end customer experience, and increase support for its growing network of product development partners. Glode has been named chief product officer for Helix, and one of three new senior executives whose appointments over recent months were announced by the company today. The others are CFO Ajay Gopal and Chief Marketing Officer Deena Bahri. HumanCode’s 10 employees will join Helix’s workforce of 169 employees, the San Francisco Chronicle reported. With its acquisition of HumanCode, Helix will expand its operations into Denver: Helix’s statement included praise for the company from Denver Mayor Michael B. Hancock (D) and Colorado Gov. John Hickenlooper (D). “Helix’s acquisition of HumanCode is a validation of bio health innovation that originated right here in Colorado. Their long-term commitment to the market shows our value as a true innovation hub,” Gov. Hickenlooper said. The Denver office joins Helix’s other operations, which include its headquarters in San Carlos, CA, and labs in San Diego. Helix operates what it says is one of the world’s largest CLIA- and CAP-accredited clinical exome sequencing laboratories. Using Illumina technologies, Helix applies its proprietary Exome+ assay to sequence its customers’ 20,000 protein-coding genes, as well as additional areas identified by the company’s scientific team through the proprietary Exome+ assay. Helix says its assay yields 100 times more data than standard home DNA tests sold to consumers. The company also limits customer saliva sample collection to once, rather than require a separate DNA sample for each product offered, as required by many other personal genomics companies.